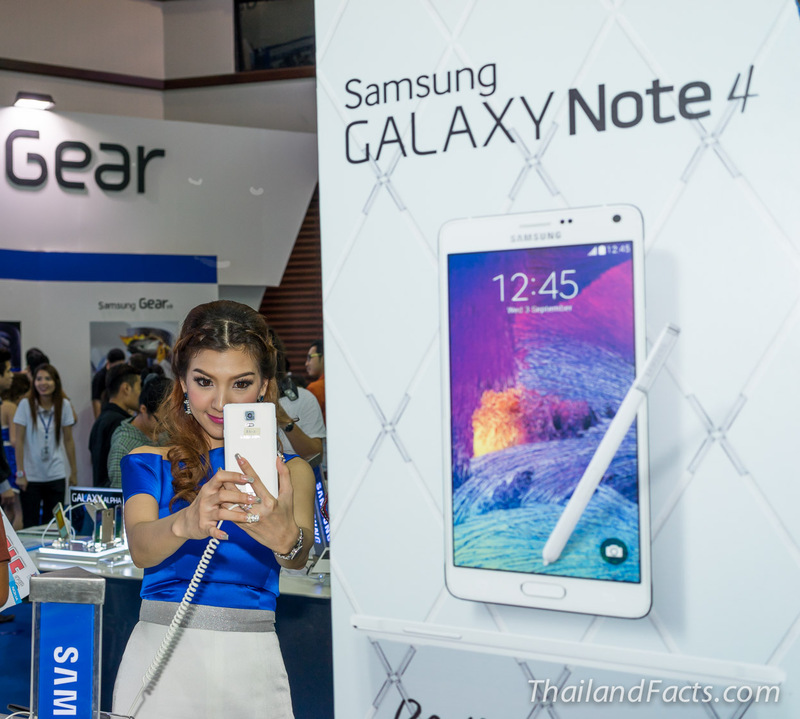 Thailand Mobile Expo 2014 hosted the major brands which came to feature their latest mobile products : Tablets, Smart Phone, Smart Watches. The star of the show was the Samsung Galaxy Note 4 and the watch Samsung Gear S which has a sim card and can work without any phone for voice calls and text messages. The most beautiful models of Thailand where here to present the products. This entry was posted in Fair in Thailand, Samsung Galaxy, Shopping, SmartPhone, Technology, Thai Models on October 3, 2014 by AsiaEmbassy.